Comet TV announced their programming for August and it's a fun lineup. John Landis' American Werewolf in London, Vampire's Kiss, and Invasion of the Body Snatchers are just some of the movies announced. 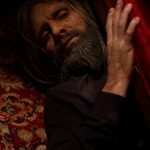 Also: Amsterdamned Blu-ray release details, FrightFest 2017 short films lineup, Cavitycolors' Bloody Disgusting Collection, new photos for She Rises, The Dead Next Door Blu-ray special features, and the HollyShorts Film Festival lineup. Comet TV's August Programming: "AIRING ON COMET in August. TWO BLACULAS ARE BETTER THAN ONE. Without a doubt, the most iconic blaxploitation horror movie ever – and also probably the punniest movie title, period – Blacula has earned legions of devoted followers since first rising from the grave in 1972. Its success spawned an even campier sequel the following year in Scream Blacula Scream, and now you can catch both Blaculas on COMET in the same day. Blacula stalks your screen first on Saturday, August 5 at 2P/1C, and it will be followed directly by Scream Blacula Scream at 4P/3C. Scream Blacula Scream airs Friday, August 25 at 6P/5C." Amsterdamned Blu-ray Release Details: Blue Underground will release Amsterdamned on a limited edition Blu-ray / DVD on August 29th. 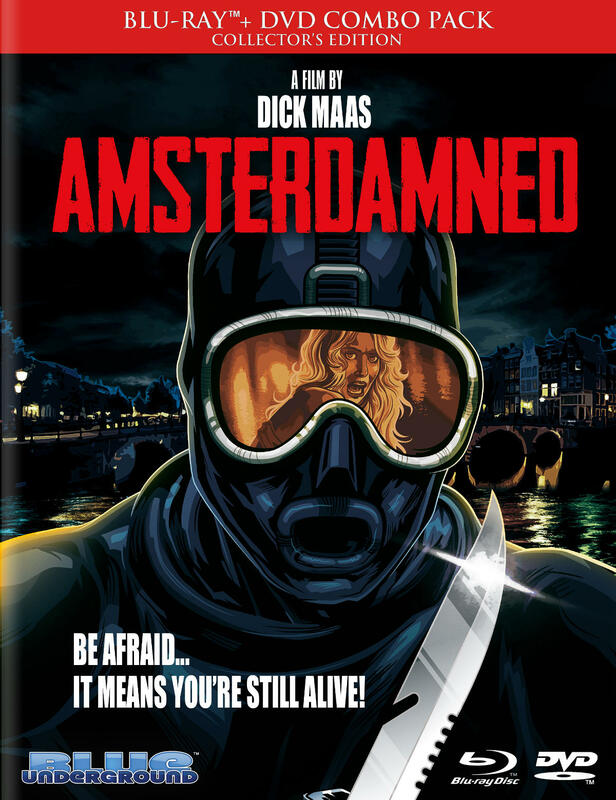 "Down in the murky depths of Amsterdam’s famous canals lurks a murderous predator. Surfacing at night, he kills at random and disappears without a trace. As the bodies begin to pile up and mass hysteria envelopes the city, Detective Eric Visser is assigned to head the investigation. With only the escalating number of victims to go on, Visser pursues his quarry with a vengeance, unaware that his beautiful new girlfriend may be the mysterious killer’s next victim. BONUS Collectable Booklet with new essay by author Michael Gingold"
FrightFest 2017 Short Films Lineup Announced: Press Release: "Film News (UK): Horror Channel FrightFest announces 2017 Short Film Showcase. In addition to the showcases, there are two special short film screenings. Preceding our opening night film ‘Cult of Chucky’ is THE DOLLHOUSE, a loving tribute to growing up in the world of the psycho killer doll, directed by Kyra Gardner. And our very own short film programmer Shelagh Rowan-Legg’s new film FLOW will have its European premiere preceding the screening of DHOGS. Horror Channel FrightFest runs from 24th - 28th August 2017 at Cineworld Leicester Square and The Prince Charles Cinema. Cavitycolors' Bloody Disgusting Collection: "From Cavitycolors: "Reader beware... This Thursday, August 10th - We're bringing you a special collaboration with the #1 horror news site on the web, Bloody Disgusting! @bdisgusting! BD has been a long time supporter of Cavitycolors for years, and a staple in the horror community for news and incredibly insightful articles that make us horror fans drool! We are incredibly excited to collaborate with them on another limited edition release. Prepare your eyeballs for a new enamel pin designed by yours truly, and a new shirt by @devondraws available for 72 hours only. Stay tuned!" 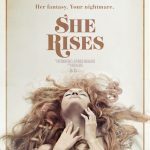 Photos Revealed from She Rises: "A director and her lead actor get a vacation rental while filming a movie. What starts as a helpful unassuming very nice host, becomes their worst nightmare." 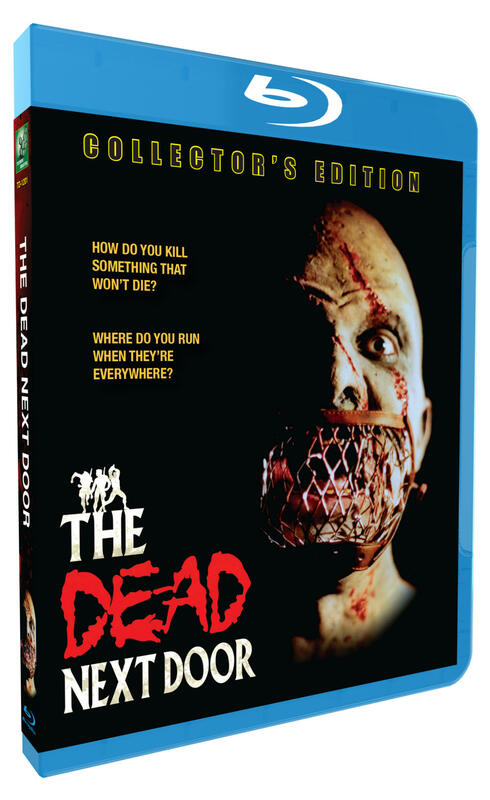 The Dead Next Door Blu-ray Special Features: Press Release: "Tempe Entertainment announces the launch of its Blu-ray label Tempe Digital with the September 26 release of the 1990 landmark independent shocker "The Dead Next Door." Priced at $29.95 SRP, this 2-Disc Collector's Edition includes the same Blu-ray from the company's limited (and now out of print) 3-Disc Ultimate Edition, along with an all-new DVD featuring a collectible slipcover and three new bonus features. Two and a half decades before "The Walking Dead" made zombies mainstream on cable television, 19-year-old writer/director J.R. Bookwalter ("Ozone," "Witchouse 2: Blood Coven") embarked on "The Dead Next Door," an ambitious horror feature pitting an elite team of Zombie Squad soldiers against hoards of the undead and the secretive religious cult hell-bent on protecting them. 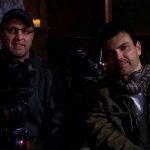 The film would ultimately take four years to complete with the help of a now-famous Hollywood director and more than 1,500 Northeast Ohio residents, who portrayed the multitudes of bloodthirsty ghouls. For this 2-Disc Collector's Edition release, brand-new 4:3 and 16:9 1080p HD masters have been painstakingly created from a 2K restoration using the original Super-8mm film elements. Also included is a 5.1 surround mix which restores the voices of the original cast members for the first time ever, vintage and newly-prepared bonus materials, and much more. The DVD includes a 4:3 standard-definition presentation of the restored feature plus a candid audio commentary by the director recorded in 2001, which was previously only available on long out-of-print international releases. The second disc also features an all-new 2017 interview with actor Scott Spiegel (director of cult favorites "Intruder" and "From Dusk Till Dawn 2: Texas Blood Money"), as well as a 1999 tour of several locations where the film was shot. Rounding out the Collector's Edition is a beautiful slipcover featuring newly-commissioned artwork, which will only be available with the first pressing of 1,000 units. 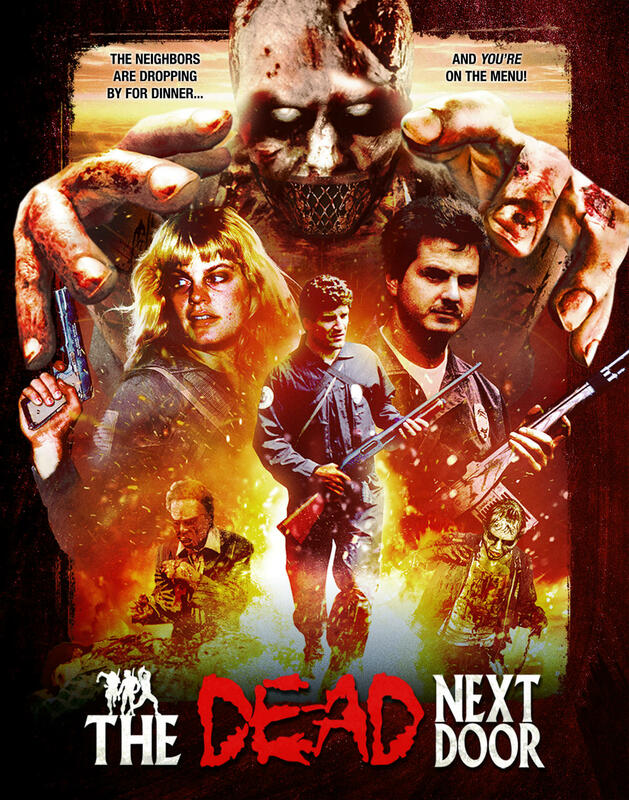 "The Dead Next Door" 2-Disc Collector's Edition Blu-ray + DVD will be available everywhere on September 26, 2017, at $29.95 SRP, with retail distribution from our partners at MVD. * 2005 Audio Commentary with writer/director J.R. Bookwalter, actor Michael Todd and cinematographer Michael Tolochko, Jr. Founded in 1991 during the heyday of the VHS format, Tempe Video has a lengthy history of distributing independent, low-budget features and special interest titles. The company cemented a reputation as "the Criterion of direct-to-video features" in 2003 after branching into DVD with a line of nationally distributed, feature-packed Special Editions. Tempe's eclectic catalog of horror and cult fare includes the all-star dramedy "Eddie Presley" (directed by Jeff Burr), Showtime documentary "Something to Scream About" (directed by Jason Paul Collum), and "The Dead Next Door," a sprawling zombie epic directed by J.R. Bookwalter, which launches the new Tempe Digital line of Blu-ray releases." 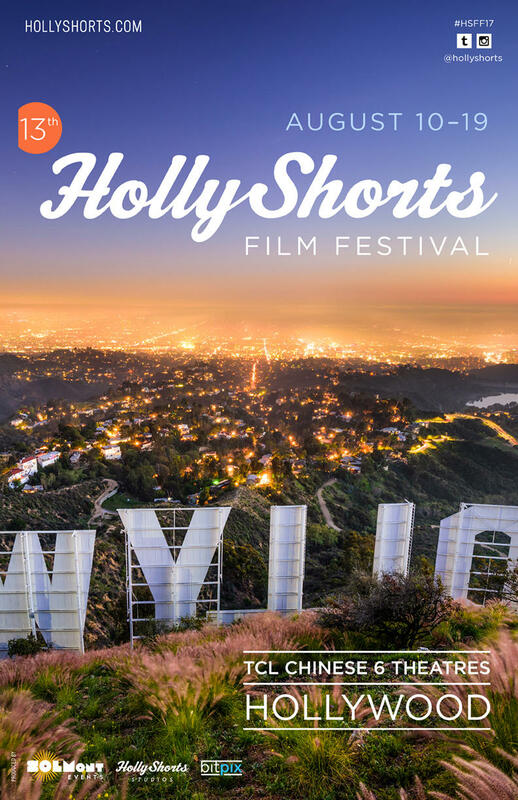 HollyShorts Film Festival 2017 Lineup Announced: Press Release: "August 2, 2017, Hollywood---The Oscar-Qualifying 13th Edition of the HollyShorts Film Festival has unveiled its horror/thriller lineup. Below are the films in competition and their screening dates/times. The screenings will take place at the TCL Chinese 6 Theatres in Hollywood. HollyShorts received a record over 4,000 submissions this year. I am The Doorway by Robin Kasparik."